The way we shop is changing; whether in-store, online or on mobile. Retailers understand the importance of a great customer experience in being one of the key drivers to loyalty and increased sales for their business. With an innovative Mobile Point of Sales (mPOS) solution you can provide an assisted sale for your customers giving them an engaging and highly personalised shopping experience. Mobile can be a key business differentiator and also offers a variety of opportunities for organisations in the Hospitality and Transportation industries. With over 35 years of payments industry experience, Ingenico is best placed to provide your organisation with a mobile payment solution that compliments your business' goals. 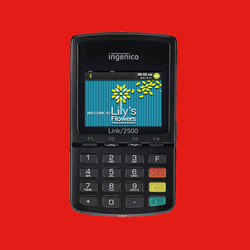 With the Link/2500, Ingenico brings payment acceptance to any mobile solution. Combine an iPod touch 5 with the iSMP to create a powerful, smart mPOS solution. Pair a tablet or a smartphone with the iSMP Companion via Bluetooth for a secure, smart mobile point of sale (mPOS). 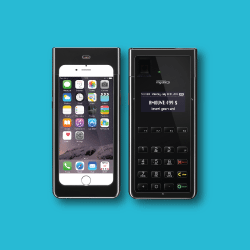 By combining an iPhone 6 with an iSMP3, Ingenico Group has created a unique smart mobile POS.